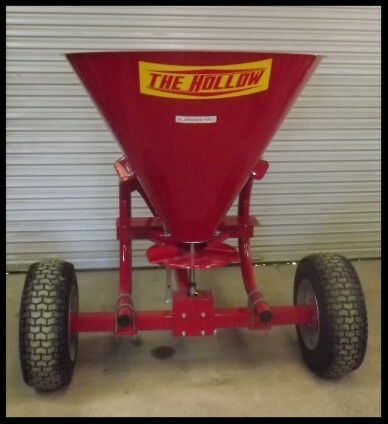 The Hollow Spreaders » Darrell Harp Enterprises, Inc. 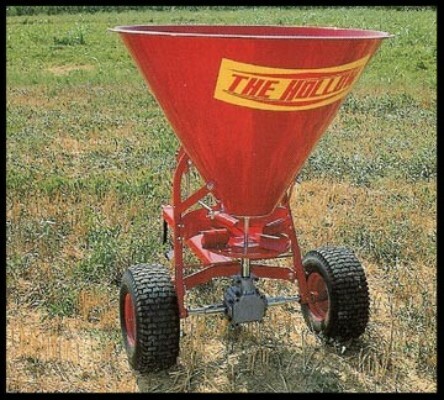 Thanks to its simple and functional design as well as its sturdy structure, it combines operational easiness together with high performances. 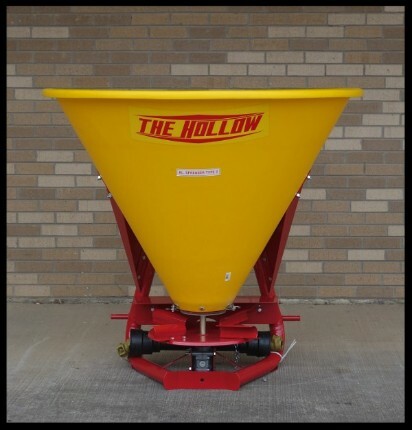 The Hollow seeder/spreader is made out of first-quality materials and is completely powder-painted. 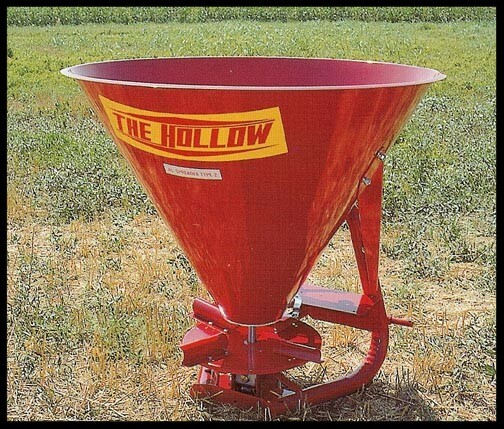 Wide employment range: it is fit for spreading salt and sand as well as sowing different types of cereals.